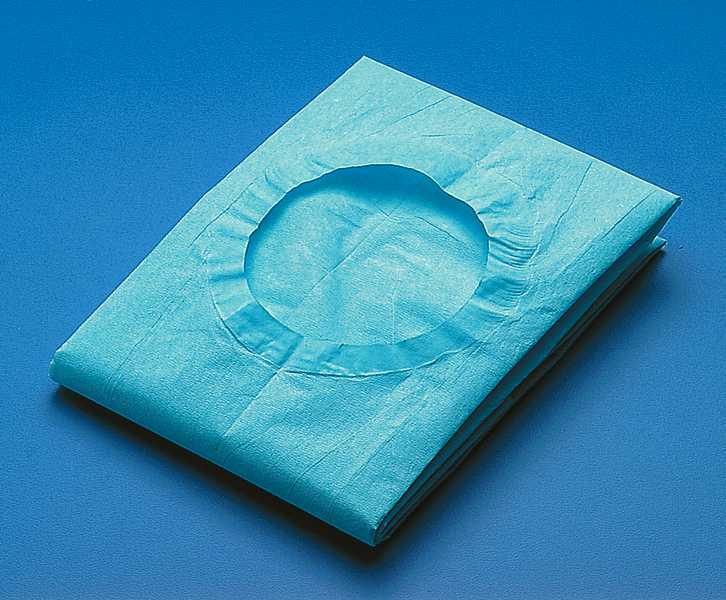 Busse Hospital Disposables Inc. Drape, 18" x 26" Fenestrated 3" Round with Adhesive Patch. 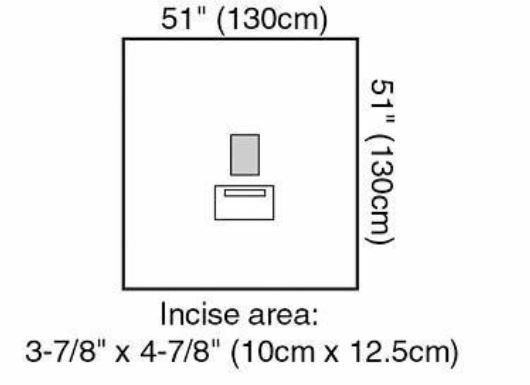 50/BX, 4 BX/CS. 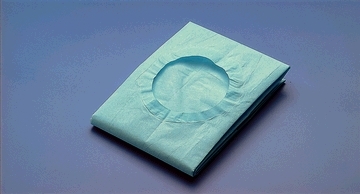 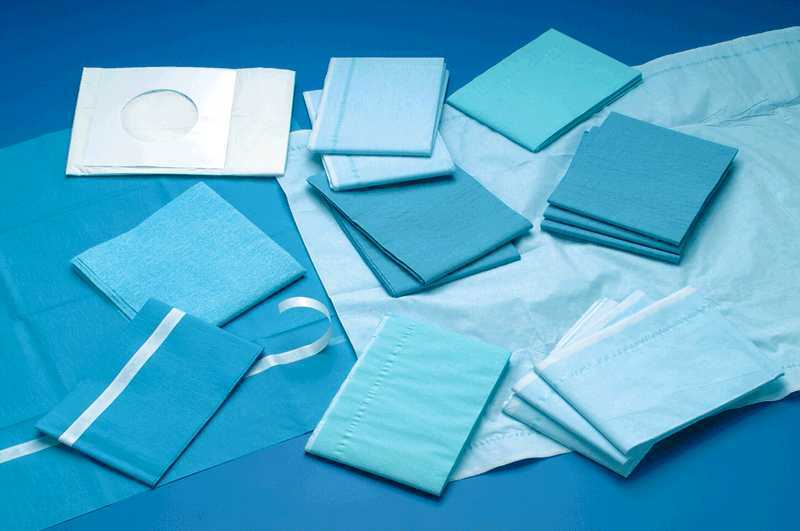 Polyethylene film is sandwiched between two absorbent layers of white tissue to both absorb fluids and prevent strikethrough. 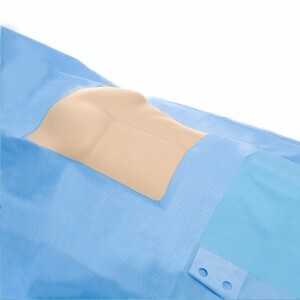 Adhesive around fenestration ensures secure positioning on surgical site. 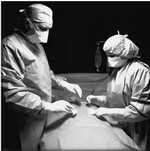 Drape, Chest 100" x 72" x 124"